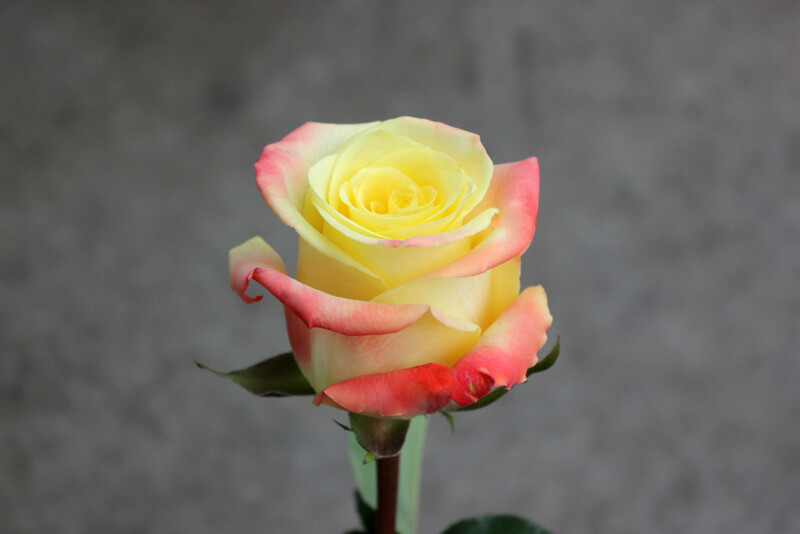 Florida is a yellow and watermelon bi-color rose. 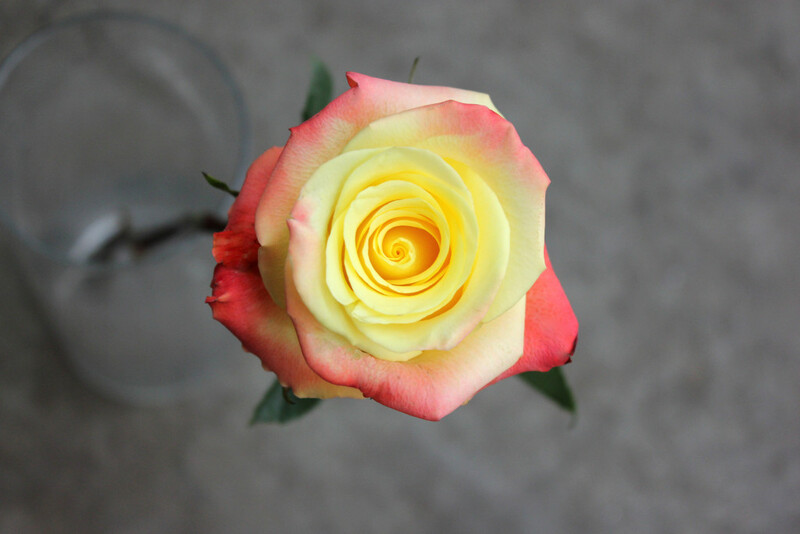 This rose has yellow petals and the yellow outer petals fade into watermelon colored edges. 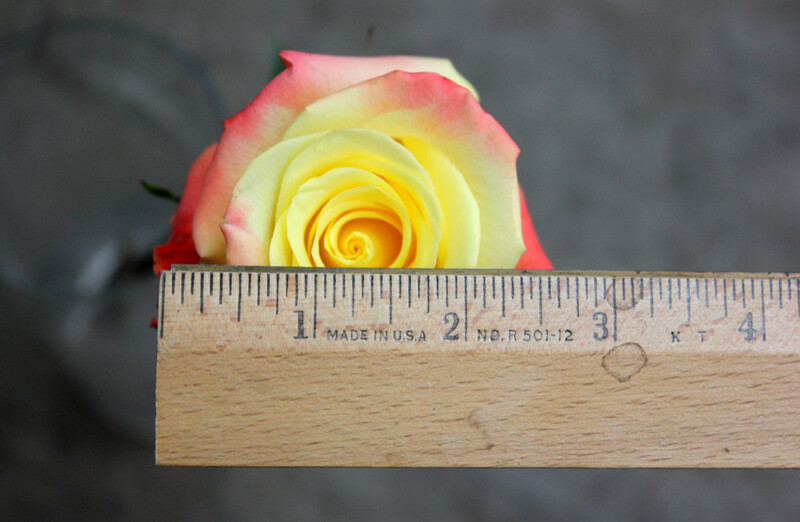 It contains no thorns and a slight, if any, scent. Florida measures to about 3 inches in diameter.